If one of your home’s mechanical systems or appliances failed, would you be prepared to fix it? For many homeowner’s, that answer is a resounding no. Owning a home is an expense, and when major systems or appliances fail, the bill for repair can be more than you bargained for. That’s where a home warranty can help, and Choice Home Warranty is a leader in the industry. Many homeowners make the mistake of assuming that they don’t need a home warranty because they already have homeowner’s insurance. But these are two very different things. Homeowner’s insurance is hazard insurance. It only covers items damaged in flooding, fire, wind or other natural disasters. A home warranty will cover repairs for properly maintained mechanical systems and household appliances that fail because of normal wear and tear. Without a home warranty, you’ll be on the hook for the cost of these repairs, which can sometimes be thousands of dollars. What exactly does a Choice Home Warranty cover? The answer depends on which plan you choose. Choice Home Warranty offers two different plans, so you can choose the one that best suits your needs and budget. Coverage is for no more than one unit, appliance or system. So, if you have two refrigerators, only one will be covered unless you purchase additional coverage. This is standard with most home warranty plans, so keep this in mind. And here’s the great thing about Choice Home Warranty: No home inspection is required. It’s not surprising that Choice Home Warranty reviews on TrustPilot and Consumer Affairs are positive. Optional coverage is available at an additional cost, but if you have any of these items in your home/yard, it’s worth purchasing the additional coverage. Unlike other home warranty companies, Choice Home Warranty is open and transparent about their coverage. You can read through what’s covered and the exclusions right on their User Agreement page before you even purchase a policy. Here’s the great thing about Choice Home Warranty: They will cover old systems. As long as your appliances and home systems are properly maintained and in good working condition when you purchase the warranty, you will be covered. And you can enroll in a home warranty plan anytime you wish. You don’t have to be in the middle of purchasing a home in order to buy a plan. Coverage starts 30 days after enrollment and receipt of contract fees. It will last for 365 days from your start date. Choice Home Warranty makes it easy to file a claim through their website or over the phone at 1-888-531-5403. Claims can be filed 24 hours a day, 7 days a week, 365 days a year whether you do it online or over the phone. Once you submit a request for service, the company will contact an authorized service provider within 2 business days, or 4 days on weekends and holidays. The technician will call you to schedule an appointment for service. If it’s an emergency, the company will make an effort to expedite the service. You will be required to pay a $75 trade service fee for each claim regardless of the cost of the repair or replacement. That fee is paid to the technician that comes to your home, and is a small price to pay for peace of mind. If your hot water heater breaks, the $75 you pay the technician is small compared to the full cost of the repair. What happens if an item needs to be replaced, and there is no replacement unit available? Choice Home Warranty will offer a cash payment for the amount of the replacement cost. If the service work should fail, the company will make the necessary repairs without an additional trade service call fee for a period of 30 days on labor and 90 days on parts. 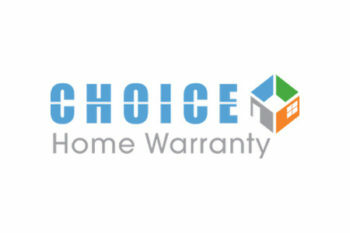 Why choose Choice Home Warranty when there are so many other home warranty companies out there? With affordable plans, a large service area and a variety of coverage options, Choice Home Warranty will give you peace of mind that many of your home’s repairs are covered. And if you ever have questions about your plan or its terms, customer service is always available to help.